This beautiful unicorn girl doll will bring a sparkle to a girl’s eyes. The Unicorn Girl Doll measures 10″ in height (without the horn). I’m sure you will enjoy this pattern and it will give you great pleasure to make it. With a little creativity, a good selection of yarn colors and not much else, you will have a gift worthy of any little princess. Don’t forget to share your work in our Facebook Group. The link to the pattern is below. 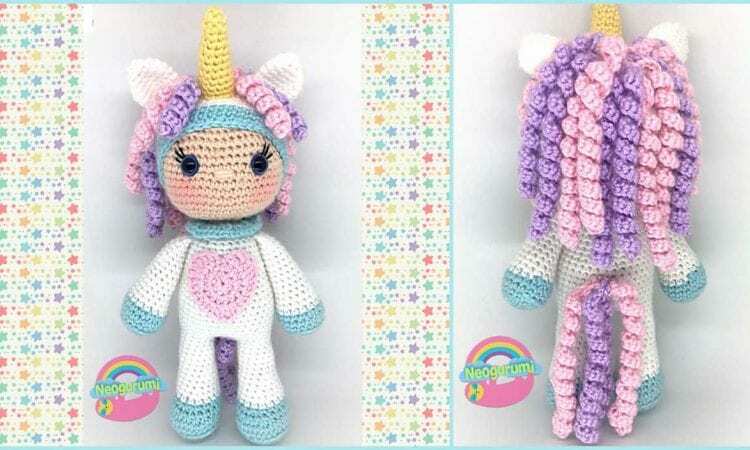 Unicorn Girl Cal – visit the free crochet pattern site.